To find where your screenshots are stored, go to File > My Screenshots. 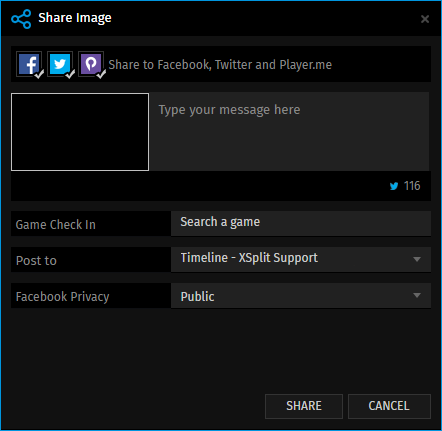 All screenshots taken with XSplit Broadcaster will be found here. 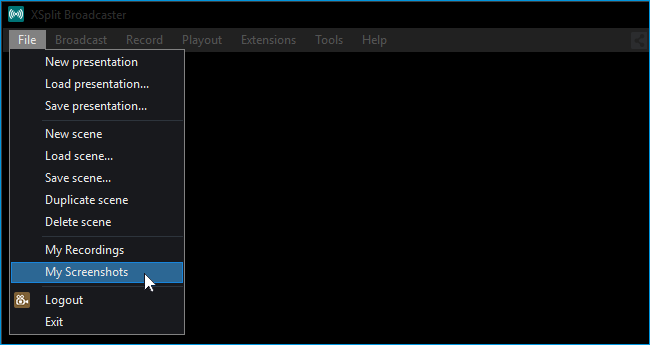 You'll need to assign a Screenshot hotkey in order to take screenshots. You can rename your selected screenshot by clicking the pencil icon and delete selected screenshots by clicking the trash icon. The Open Folder button opens your screenshots folder in the File Explorer. Click on … on the Locations bar and choose a folder for where your screenshots will be stored. Clicking any of the social media icons lets you share a screenshot on their respective social media platforms.